The Array does not appear in any of our early photos of 821 (when she was still an ‘A’ model). The conversion to ‘B’ models occurred during 1968, but this aircraft ditched in November of the following year, so the timeframe for the Array fitting was most likely relatively short – i.e. some period during 68/69. 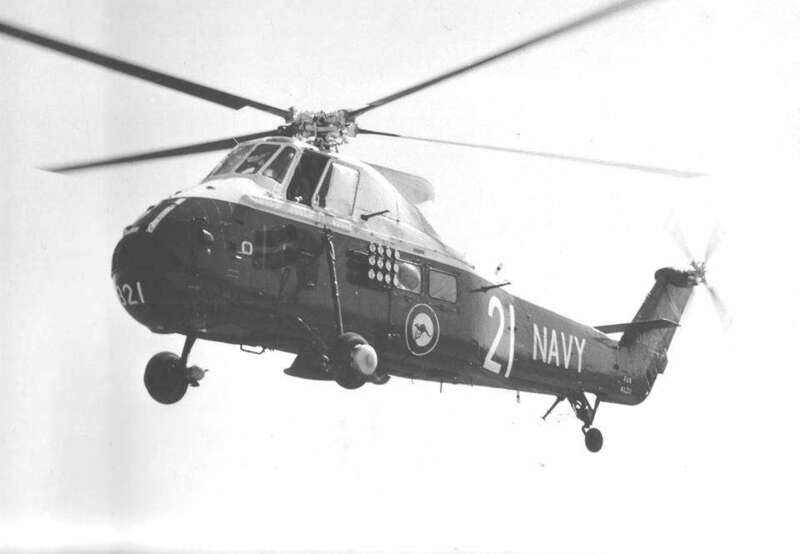 Graham Pring provided another image of 821, taken during Navy Week in 1968 (so that helps pin down the timeframe). Interestingly, it shows a square sensor/antenna on the cockpit roof. The photograph below shows 821 again with a different view of the Array (Photo courtesy of “Friends of the Wessex 31” website). Regrettably the pilot in the photo (Bob Giffen) is no longer alive. 1. 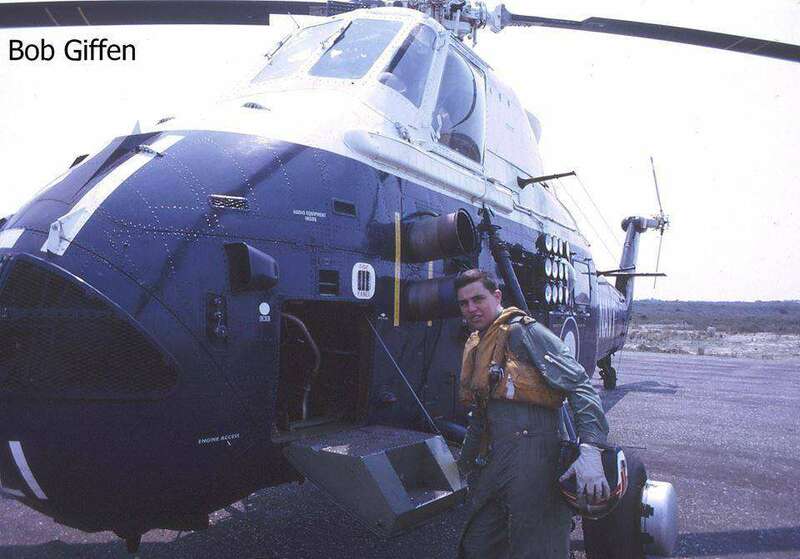 During the week 15 – 22 October 1968, the first three Wessex 31B aircraft, WA 211, 224 and 226 were transferred to 725 Sqdn from contractors. 2. Tue 15 Oct 68 . Mr Jones and Mr Deering arrived to fit lights on the side of some Wessex, for EXDAK trials later on. 3. Mon 25 Nov 68. 821 doing EXDAK trials during the day. 4. Tue 26 = Thu 28 Nov 68. Records further EXDAK trials as having been carried out. 5. Thu 23 Jan 69. Two more EXDAK trials carried out, after which 831 was found to have an oil leak in the hot end of the engine. 6. Thu 13 Nov 69. Wessex 821 ditched while conducting mail/ stores transfer. Aircraft remained afloat for 1.5 hrs before sinking, all aircrew escaped uninjured and were picked up by ship. 7. No EXDAK trials flights are recorded for the period 23 Jan 1969 to 13 Nov 1969. 8. The ” black rectangular box” on the cabin between the o’head greenhouse windows is the HUDAT antenna. If you have any other views or information please use the ‘Contact Us’ form at the foot of this page. Mystery Photos Click button to see other Mystery Photos and their answers.